May 19, 2016 Wayne's Roofing, Inc.
A good part of safety is having a well nourished body! We proudly catered a bbq lunch from Branks BBQ for all the workers at the New Tahoma High School being built in Maple Valley, WA. 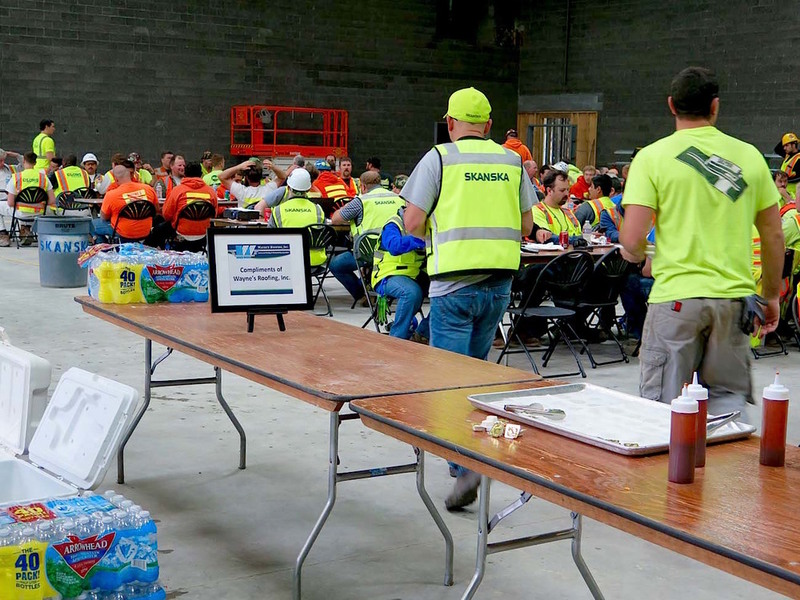 This luncheon was in honor of Safety Week 2016! We were pleased to be able to show our appreciation for our workers and everyone who is contributing to the New Tahoma High School project.